A lovely holiday postcard from my mail friend Antoni, thanks Antoni for this lovely card, the Guggenheim is a fabulous building! Moni in Germany and Igor in Russia. 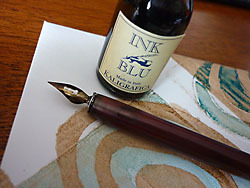 I especially love the stamps from Russia! 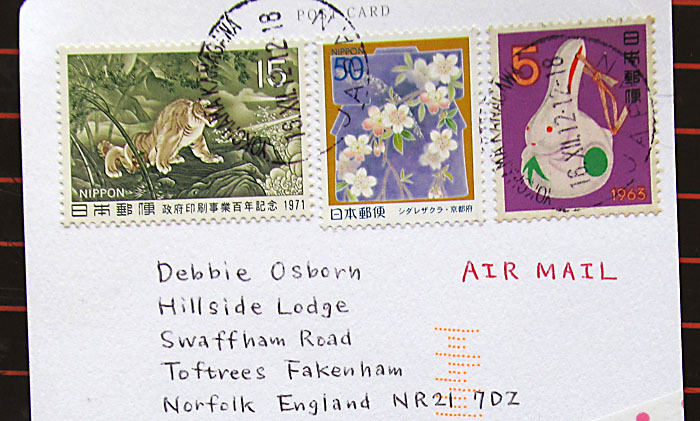 I do love it when people take the time to decorate the back of their postcards before sending them. 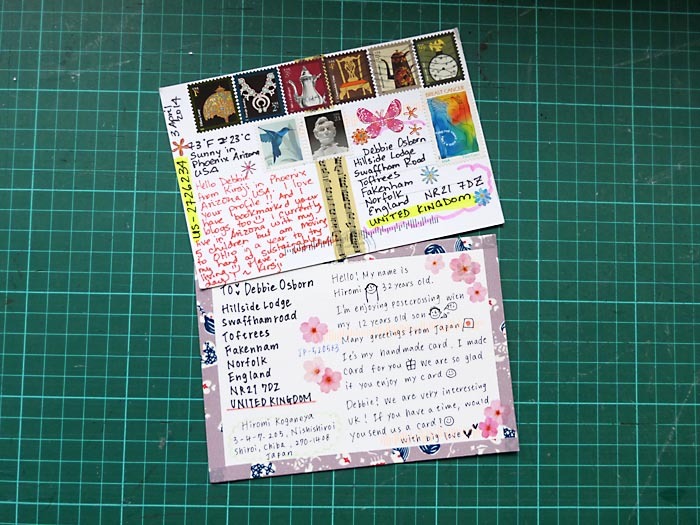 I try to remember to decorate the cards I send, but unfortunately here in England the decorative stamp issues are very few and even then usually only stamps that can be used in the uk. 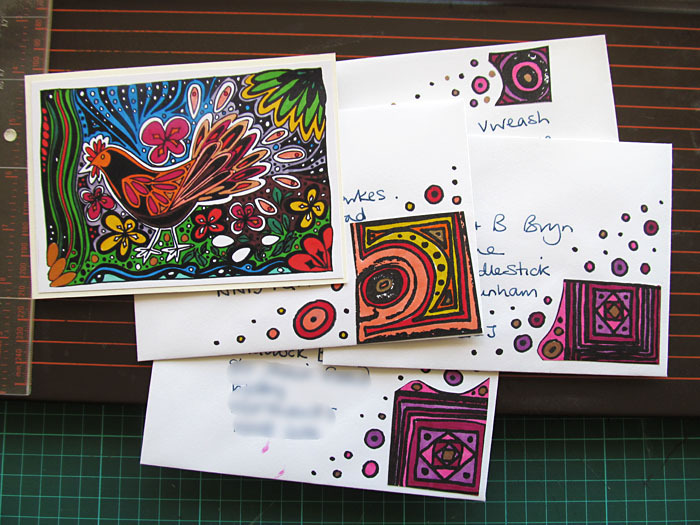 I have started to make my own fake art stamps to add to the cards instead. 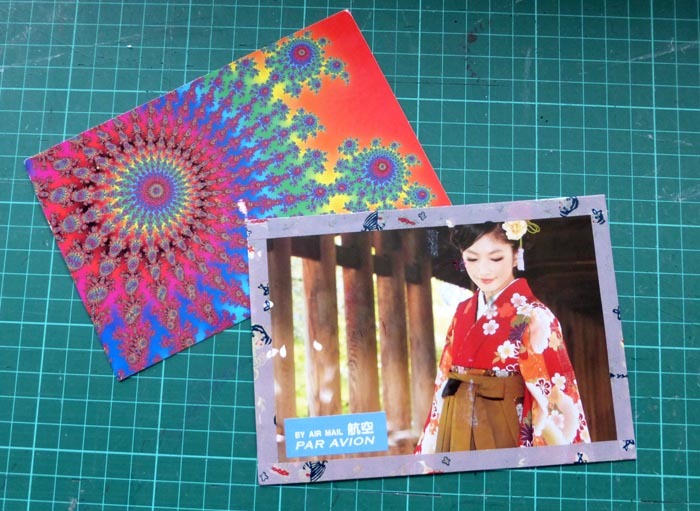 Here are two more postcrossing cards I forgot to show you. 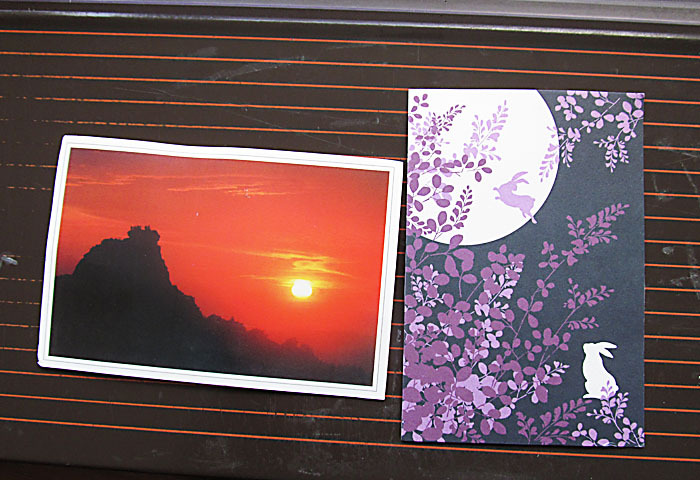 The first from Zigiang in China and the second from Masako in Japan. 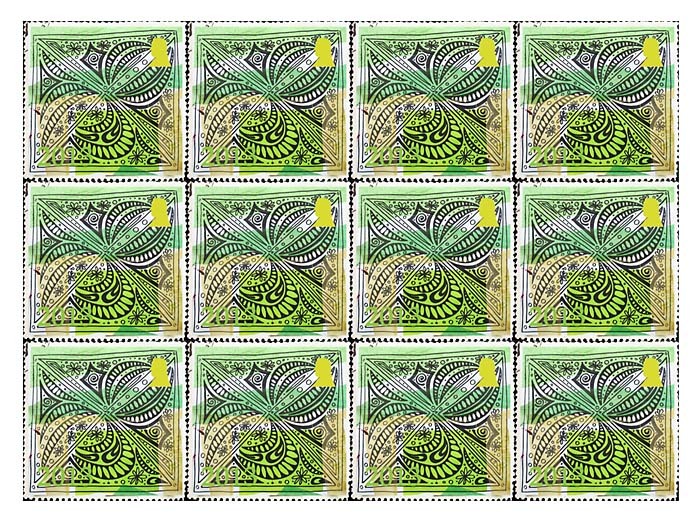 Look at these lovely stamps! I’m also sending out some thank you’s to my family for a lovely time and lovely presents last weekend. Our belated Christmas time together. These are a result of spending a lot of time drawing because of a virus that just doesn’t want to go!